While the city of Joshua Tree may be small, there are still a bunch of things to keep you entertained. 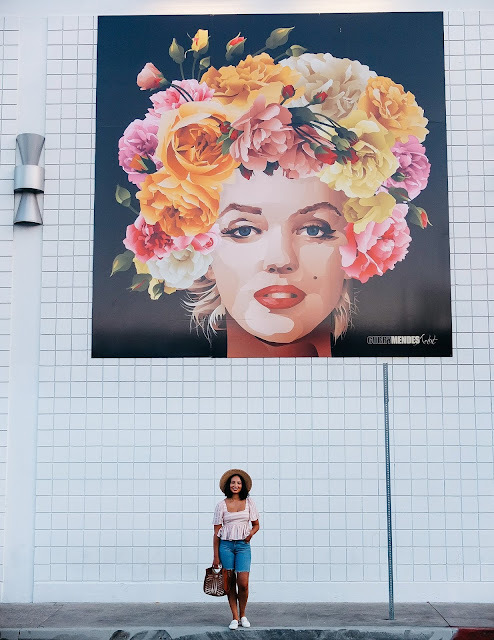 Today I bring you a list of some of my favorite places to visit and some spots I plan on checking out next time I'm in town. 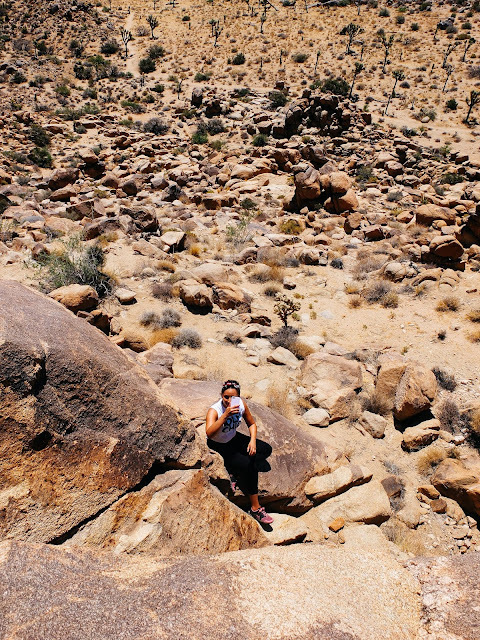 First up, Joshua Tree National Park. A trip to the national park is obviously a MUST! It's probably one of the main reasons while you're in town, second to the amazing stargazing. You can spend a whole day at the park hiking, rock climbing, camping, or just driving through and sight seeing. 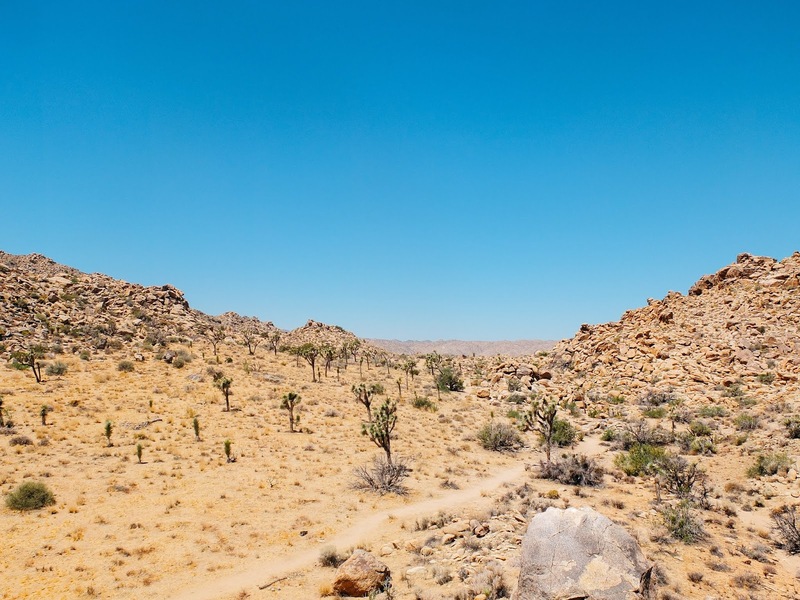 Depending on the time of year, hiking is not recommended because of the extreme heat. I would highly recommend bringing tons of water (they don't sell food or water in the park), wearing sun block, and dressing appropriately. Also pay close attention to what kind of shoes you are wearing especially if you're planning on climbing. Driving through the park is fun too! We drove from the west entrance to the highest look out point, Keys View. We stopped along the main road at the spots that peeked our interest along the way. There are tons of photo opportunities everywhere while driving in town. I found this cowboy along 29 Palms Highway. Besides the park and the stargazing I was really excited to visit the Beauty Bubble salon and museum. This salon was so fun to walk through! It was like walking in a time machine and getting sent back to the '50s. They have a ton of retro memorabilia everywhere and they are a working salon! So feel free to book an appointment. Right next door to the Beauty Bubble are a ton of other cool places to check out. Like art galleries, bookstores (where a bought 2 books for $2! ), the "World Famous Crochet Museum", and thrift stores all walking distance from each other. Unfortunately I wasn't able to check out any of the cafes or restaurants that I had on my list while we were there. They either were closed when we went or we stayed in and cooked at our Air BnB. KEEP IN MIND - During the summer months (July - August) many businesses in JT close because of the extreme heat. I would highly recommend researching before showing up. 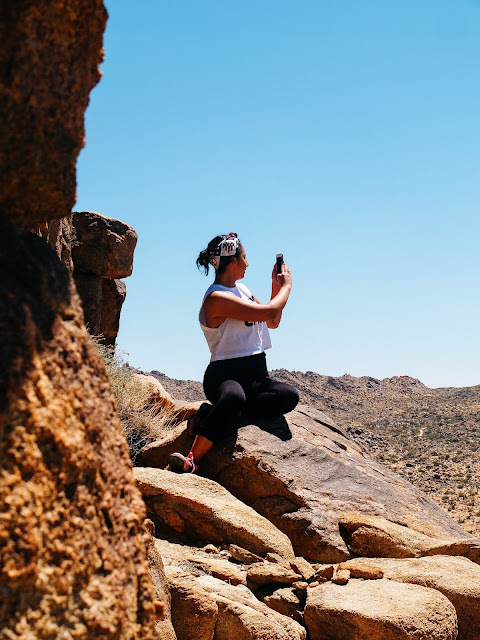 Now if you are like us and find yourself stuck with nothing to do because places are closed or you're just desperate to escape the heat, a great idea is to take a drive to Palm Springs! 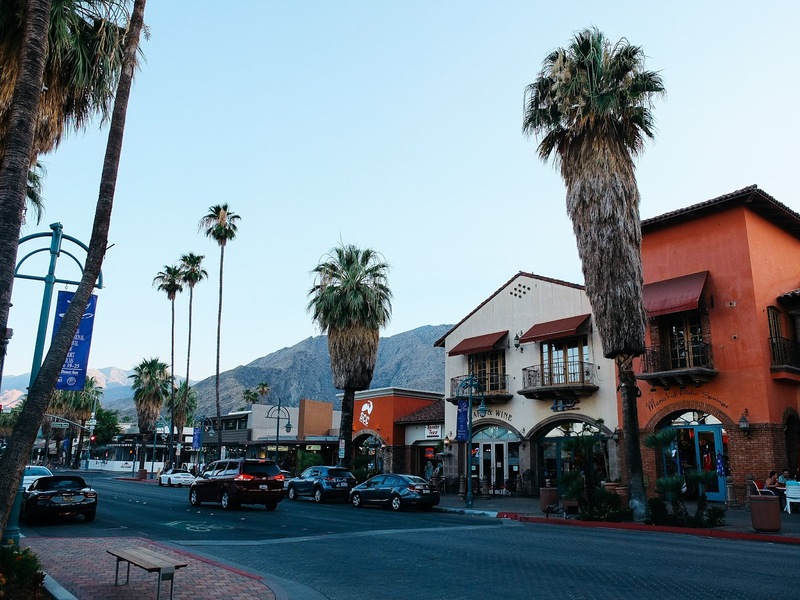 Palm Springs is so beautiful and an easy drive from Joshua Tree. We ended up spending one whole day at the Ace Hotel & Swim Club. What's great about the Ace Hotel is you don't have to be a guest to use their pool. I was even able to shower and change in their restroom before heading out to dinner. The food and drinks are amazing and they even have pool floaties to share. Not to mention the amazing view of palm trees and mountains. 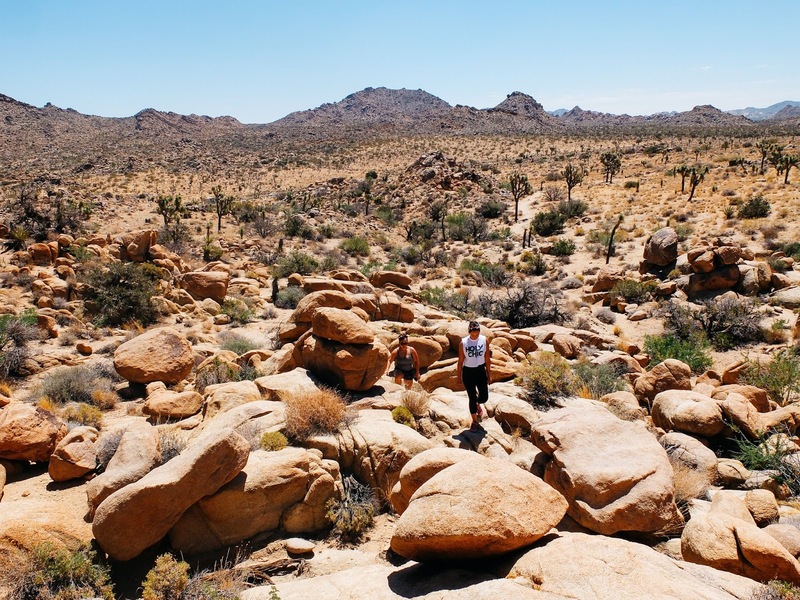 I hope this little travel guide helps you plan your trip to Joshua Tree. Wishing you all a great Wednesday!